Ladies Night 2011 is a Hit! Howard Stewart is a self-described “volunteer-holic.” One of the results of this condition is receiving awards from a grateful community. Stewart, a third-generation Mason, was honored Thursday at the local Staked Plains Lodge with the Golden Trowel Award, presented in recognition of outstanding service to the lodge and community. “His continued involvement with activities here at the lodge and his community service are the reasons for his receiving this award,” said Lodge Master Les Montgomery, who presented the award. While Masons have been around for centuries, the Golden Trowel is a relatively recent award, first presented in the early 1990s to members for their outstanding service. A committee recommends members for the award and the honor is decided by a vote of the entire membership, Montgomery said. Stewart, who retired from Big Spring Independent School District in 2007 after a 30-year career as a teacher, coach and director of transportation and maintenance, first joined the local lodge in April 1987. Since that time, he has served in a variety of positions, including past master of the lodge, past commander of the local commandry, past high priest of the York Rite Mason chapter 178 and current Worthy Patron of the Oder of the Eastern Star and secretary-treasurer of the Masonic Temple Association. Click here for the full artical. 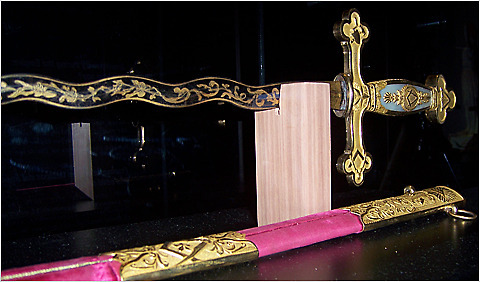 Lisa Pham The Marquis de Lafayette’s sword, one of the items on view at the newly renovated Museum of Freemasonry in Paris. A once mysterious fraternal society continues to put itself in the public eye with the opening of the completely renovated Museum of Freemasonry, which opened in a newly renovated location in Paris last week. The Grand Orient de France, the oldest and largest Masonic organization in the country, has been collecting items dating from as far back as the 1720s, around the time that Freemasonry was established in France. It now has 10,000 objects in total, including a collection of 18th-century earthenware that was recently purchased with the help of the French government. About 600 objects are on display including the revolutionary leader Marquis de Lafayette’s sword, the philosopher Voltaire’s Masonic apron, color-fired glass used during rituals, original manuscripts and Rosicrucian jewelry. An image bank has also been expanded for commercial clients; hundreds of documents spanning three centuries have been digitized and are available online. ﻿Click Here for the Full Artical. (National Treasure, the dim-witted but smashingly successful Nicholas Cage adventure, may not have been good history or a good movie, but it did get one thing right: Freemasonry was an extremely powerful force in early America. Meriwether Lewis and William Clark were both Masons, and for Lewis in particular, the ethics and spiritual values he discovered in the Masonic lodges of Virginia and St. Louis were central to his life. In fact, his identity as a Mason appears to have been weighing on his mind in his last hours on this earth. A little background helps explain how Freemasonry became so central to the lives of Lewis, Clark, and other elite men of early America. As the name indicates, Freemasonry has its roots in the medieval guilds of bricklayers and stonemasons who built the great cathedrals of Europe. How it evolved into a powerful secret society is a subject of some historical dispute. The short version is this: as the Catholic Church locked horns with dissidents and reformers all across Europe, an event known as the Protestant Reformation, the old medieval guilds were taken over by outsiders–mostly intellectuals, well-to-do middle class men, aristocrats, and clergymen. In a world where taking the wrong side was often fatal, witches and heretics were still being burned, the Inquisition was in full swing, and Galileo was on trial for insisting that the earth revolved around the sun, it seems probable that these men were seeking an underground means to exercise freedom of thought and be able to discuss moral and scientific issues safely. Though this movement may have been gradual, modern Freemasonry is generally dated from 1717, when four London lodges amalgamated under the leadership of a Presbyterian minister named James Anderson. At that point, it spread rapidly through Great Britain, Europe, and America. As the decades progressed, Freemasonry dovetailed nicely with the spread of the Enlightenment, a philosophical movement that rejected religious dogma, elevated reason and scientific inquiry, and gave rise to the idea that freedom, democracy, and tolerance should be central to human existence. In fact, it can said without much exaggeration that “truth, justice, and the American way” are principles from the Masonic creed that became embedded in our culture to the point that we now naively believe them to be universal truths shared by all. 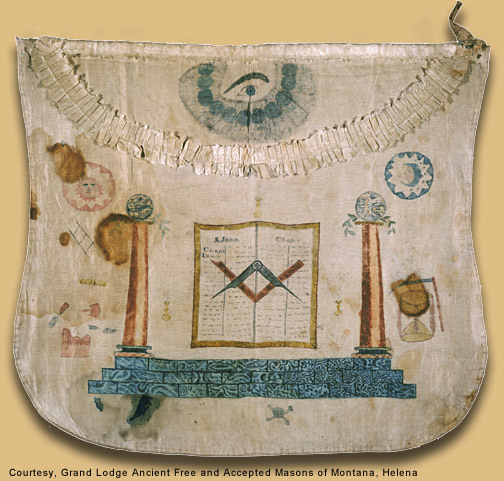 Freemasonry’s religious and spiritual underpinnings were embodied in secret lore that included ethics, philosophy, and degrees men worked to achieve, both to measure their own progress and as a symbol of the passage from youth to manhood to old age and death. The lore incorporates much Christian language and symbolism, and often leads people to conclude erroneously that the Founding Fathers espoused modern-day Christian beliefs. In early 1797, at the age of 22, Meriwether Lewis joined the Door to Virtue Masonic Lodge #44 in his home of Albemarle, Virginia. Never one to do anything casually, Lewis threw himself into the fraternity in spite of being an active-duty Army officer at the time. He rose quickly to Royal Arch Mason, held office in the lodge, and promoted charitable activities for the men to become involved in. And just because Lewis went west in 1803 doesn’t mean he forgot about being a Mason. From some journal notations, it appears that Lewis began recruiting William Clark to join the Masons while the Expedition was still preparing to get underway at Camp River Dubois in the winter of 1803-04. He seems to have continued to reflect on Masonic ideas while in the wilderness. On August 6, 1805, while exploring the high country near present-day Three Forks, Montana, Lewis named the Jefferson River, then assigned Masonic names to three of its tributaries, dubbing them the Wisdom, Philanthropy, and Philosophy. Lewis noted that the names would commemorate Thomas Jefferson’s ”cardinal virtues, which have so eminently marked that deservedly selibrated character through life,” but it should be noted that they may also correspond to the pillars of human virtue embodied in Freemasonry. 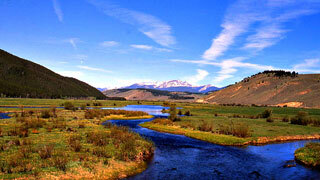 The names didn’t stick, and today the three tributaries are known as the Big Hole River, Ruby River, and Willow Creek. 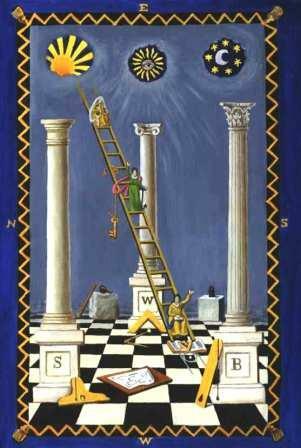 Symbolic rendering of the three pillars of Masonic thought. Read the Full Artical Here. A new generation of Freemasons are working to dispel conspiratorial myths connected to the fraternity in hopes of attracting interest of young men, like those members the 20-something male population at Cal State Fullerton, to the steadily declining membership. Recently, the fraternity has been opening up its doors to the public in order to drive off the rumors that have hounded them, as well as raise interest for potential members, said Chadwick Vargas, 3rd degree Mason, ethnic studies major and promotions director for CSUF’s Titan Radio. The foundation of Freemasonry is philanthropic development, Vargas said. The Masons of California offer a resource to parents, called the Kids ID program, in which they create free photo and fingerprint identification material for parent’s and children to keep. The parents receive a form where they can record important information such as height, weight and eye color to be given to authorities in case the child is ever missing or suspected of abduction. “Not a lot of people understand what Masons are and what the underlying goal is,” Steve Nguyen, 24, a 3rd degree Freemason said. 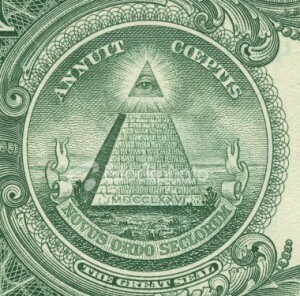 The Freemasons or, simply put, Masons, have been brought back into the public eye through movies such as “National Treasure” and “The Da Vinci Code.” The organization has also been featured on the History Channel and the Discovery Channel. After centuries of lying low due to bad publicity brought on by the actions of individual members some time in the 1800s, the fraternity (because it is first and foremost a brotherhood) is being recognized again for its presence in history, though perhaps not in the light they would prefer. “The main goal is helping out your fellow man; trying to make the world a better place,” Vargas assured. Though only having become a fully-fledged member about a month ago, Vargas is well versed and confident in his knowledge and perceptions on what Freemasonry is and what the organization represents. After going through three stages of initiation, characterized by degrees and titled entered apprentice, fellow craft, and finally master Mason, a Freemason can enjoy the knowledge that he is a man among equals who cares about not only his well-being, but that of his family as well, Vargas said. “One of the things we pride ourselves on is that when a fellow mason is in trouble, you help them. It’s not just an open saying,” Vargas said.